One of my biggest regrets from our first trip to Bangkok was not trying enough local food especially the incredible street food Bangkok has to offer! I had just stopped being a vegetarian so eating unusual street food freaked me out. But now, 5 years later, with a stronger (and a lot bigger!) 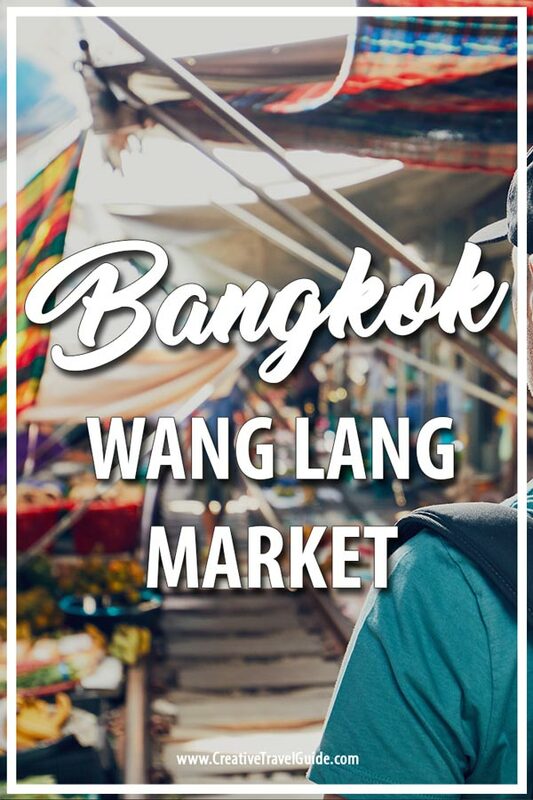 stomach, I decided to head to the best food market in Bangkok – Wang Lang Market. This was a fairly simple journey for us. We were staying in the On Nut neighbourhood so jumped into a taxi. It cost around 300 baht and took about 35 minutes. It did take a little longer on the way back because of traffic – perhaps 50 minutes? But the price didn’t shift much. You can also get to Wang Lang Market via public transport too. If you are staying near a BTS (or can get a taxi to a nearby BTS) then jump on that and head for the BTS Silom Line. 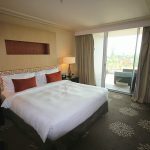 If you are staying on Sukhumvit then head to Siam and change. Once on the Silom line, jump off at Saphan Taksin and walk the two minutes to the pier, where you can jump on a boat heading towards Nonthaburi and depart at Prannok Pier. If you are staying on Khaosan Road then it is possible to walk to Wang Lang Market and takes around 25 minutes. When you first enter the market, it can be a little overwhelming. Near the pier, you will find vintage clothes and bargains but deeper through the alleyways is where the fun starts. Street food vendors stretch for at least 300 metres down Phran Nok Road and through the alleyways behind. You can get any type of Thai food down these alleyways and then some. Meat skewers are particularly popular as our the fried teriyaki pork. At the Wang Lang Bakery you can pick up some stuffed bread or some amazing green papaya salad from the small ‘Som Tam Sida’ restaurant hidden within the stalls. You can get your favourite type of curry, a variety of fruit (whole or as a smoothie) and Khao Lam – a sticky rice ball grilled in bamboo. Like I said before, you can get so much amazing food at Wang Lang Market. Instead of me boring you with a list of Thai names for exotic food, let me just show you! The market is open from 8am to 7pm with most stalls running between 10am to 5pm. One thing that makes Wang Lang extra special is the amount of locals that visit this market. Very few tourists were around when we visited but the place was packed with local workers or school children. There is an awesome nearby temple to visit called Wat Rakangkositaram Woramahavihan – again a super quiet temple to explore whilst visiting the area. 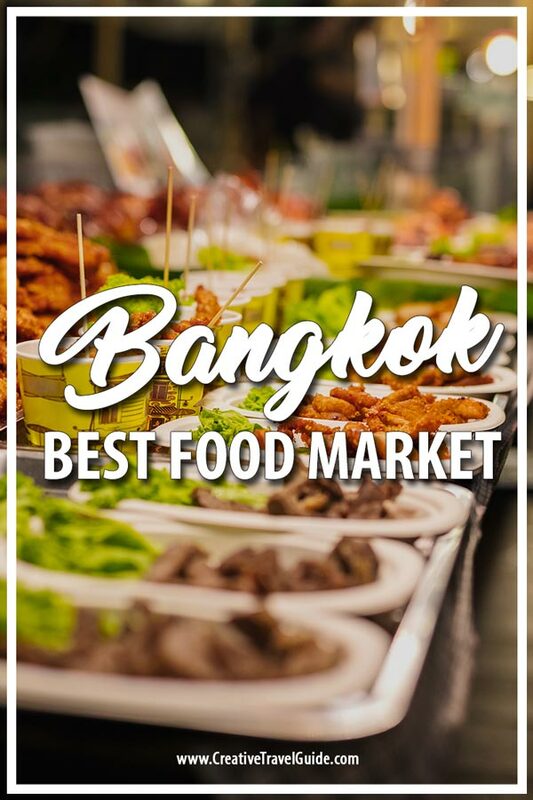 So that is our overview of what we think is the best food market in Bangkok. Heading to Bangkok? 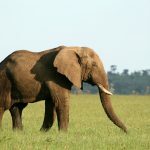 Check out our mini-guide and tips for saving money in Thailand! What’s your favourite street food to try? 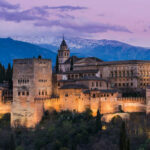 Have you any other food markets to recommend? Planning a trip to Bangkok? We have you covered! Your photos are so absolutely delicious. It’s making me hungry and wanting to move to Thailand too. The food really is enough reason to move I swear!